Claudette Hudelson (1933-2013) operated a private piano studio in Broken Arrow, OK, and was an active adjudicator for the OMTA on the local and state levels, the National Federation of Music Clubs, as well as National Guild of Piano Teachers. She judged in Oklahoma, Texas, Arkansas, Kansas, Missouri and California. 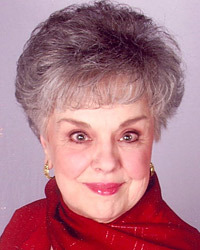 She was president of Oklahoma Music Teachers of Broken Arrow and a past member of the Executive Board of OMTA. Ms. Hudelson was also the state chair for the MTNA Composition Competition. She received her master's degree in piano pedagogy from the University of Oklahoma. She taught classes in theory, history, and pedagogy to area teachers wishing to become certified-by-exam with the state of Oklahoma. She was nationally certified with MTNA in piano, theory, and piano pedagogy.